One of the things that is so great about the American Culinary Federation is how dedicated they are to helping others, not only through helping others in the food service industry, but also in general philanthropy. A great example was found at the Christmas party for the American Culinary Federation’s Central Florida Chapter. I don’t know if you were there for the party, but as many One Fat Frog clients are members of the American Culinary Federation, there’s a good chance that some of you were. Anyway, this party was more than just great catered spreads and eggnog (though I heard the food was amazing). The ACF also looked at the Christmas party as a way to give back to the community. 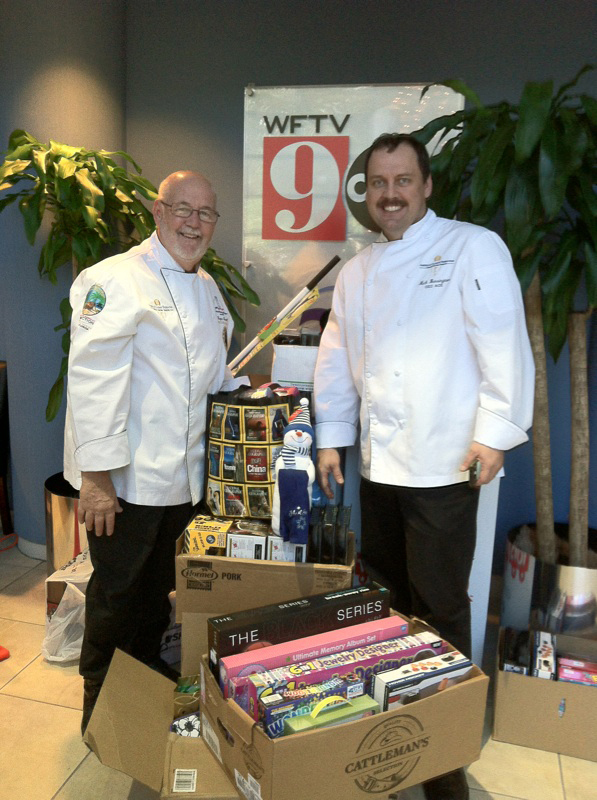 Each attendee at the Christmas party was encouraged to bring something to donate to Toys for Tots, and the result was an outpouring of cool toys that were then brought to WFTV Channel 9 for distribution. If you were at the American Culinary Federation Central Florida Chapter’s Christmas party last month, we would love to hear your stories and see some of your pictures. I would also ask if you could bring me leftovers, but I imagine they wouldn’t be good anymore. The American Culinary Federation is the largest professional chef’s association in North America. Toys for Tots is one of the largest providers of toys to underprivileged children and though they are best known as a Christmas charity, they do great work all year long.